I just sent a check for $350 to theJuvenile Diabetes Research Foundation (JDRF). This is part of my commitment – to donate part of the proceeds from the sale of my book, “The ABCs of Loving Yourself with Diabetes,” to an organization making life better for those with diabetes. If you purchased a book this year this donation was possible because of you. Last year your purchase funded asimilar donation to Diabetes Research Institute, another premier institute searching for a cure for diabetes. Every year I’ll make a donation to a diabetes organization from the sale of “The ABCs of Loving Yourself with Diabetes.” So buy a book and do yourself and others a good deed. Like JDRF, started by a few families with type 1 kids wanting to raise awareness, TuDiabetes, one, if notthe world’s largest diabetes social networking site, is making a similarly dramatic difference in the life of people with diabetes. TuDiabetes, the dream and vision of Manny Hernandez, is a place where almost 10,000 PWDs across the planet come together to share their stories, information, hopes, fears and inspire one another. Manny’s mission is that no one with diabetes feel alone. Manny’s Diabetes Hands Foundation, from which TuDiabetes was born, is constantly active raising diabetes awareness through projects they both initiate and support. Think about lending your support as you watch Manny’s video. From every dollar you donate TuDiabetes and diabetes awareness grows. I’ve had the pleasure to get to know Manny a bit this year and I can tell you no one has a truer heart. Sometimes I think it’s easy for all of us in this diabetes-blogging world to forget that we actually affect something or someone out there, speaking and listening virtually as we do. But as I look back on my year I know that we do. I’ve written enough posts to share my personal ups and downs with diabetes and get it out of my system, for the moment that is. 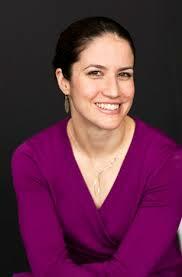 I’ve written several articles for various diabetes magazines and been advisor for a few diabetes organizations. 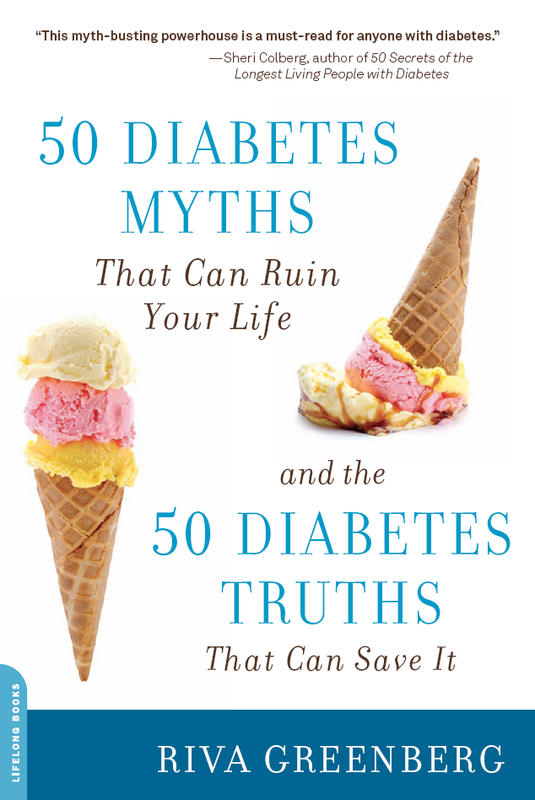 I’ve seen my second book, “50 Diabetes Myths That Can Ruin Your Life and the 50 Diabetes Truths That Can Save It” hit bookstores and receive praise from reviewers and thumbs up from readers. I’ve been invited to Roche pharmaceuticals’ first diabetes bloggers social summit. I gave away 2,000 of my books at the International Diabetes Federation conference that are now in libraries, clinics and practitioners’ and patients’ hands around the world. I’ve traveled across the states educating and inspiring fellow patients. I’ve flown to England to become a more skilled health coach and been taught by two Harvard professors to enhance my skills even further. One of my aims next year is to be part of the solution helping patients improve their self-management. Of course this all came at a cost: I traveled far and wide, met wonderful new people, made some incredible new friends and made my husband very proud. Here’s to a great new year for all of us. I truly think type 1 and type 2 diabetes should have completelydifferent names. Yes, they both have “insulin inefficiency” and wacked out blood sugars in common, but their causes and related health conditions are different, and equally significant, managing the two are generally far from the same thing, and our lives with diabetes are far from the same. I know this well, I don’t need confirmation, yet yesterday while on the phone with three of my closest friends with diabetes I was surprised by how acute and visceral this knowledge is becoming for my type 2 friend who is learning to use an insulin pump. “That freakin’ daily log I have to keep now” she said. “I’ve worn my hands out! And, I’ve never been so attached to glucose tabs before! If I’m out gardening I’m going low. Last night I was 71 before going to bed. What do I do? !” Ah, welcome my type 2 to my type 1 world. We four met as A1C Champions: We travel around the country giving educational presentations to fellow patients, sharing our personal story of living with diabetes hoping to inspire our audiences to better manage their diabetes. Most of the Champions have type 2 diabetes, yet not surprisingly of these four friends, three of us have type 1. Not surprising because for type 1s there is an intrinsic bond as pervasive and invisible as our condition; we see our mutual struggle in each other, we know intimately the burden we manage every day, and, that no one else sees it. That said, we three type 1s adore our type 2 friend. She is one of the most open, caring, curious and both emotionally and diabetes-intelligent people I know. So, we were all on the phone yesterday at the request of our type 2 friend who was seeking our type 1 counsel about her pump. Her blood sugar control is far better overall, but “lows” are more frequent. “Before (15 years worth) I rarely went below 85 or 90,” she said with tempered evenness. “Now about every third day I’m going low! Even shopping can make me go low!! TWENTY MINUTES IN WALMART AND I’M REACHING FOR THE GLUCOSE TABLETS!!! This will straighten out. She is working with her endocrinologist to refine her basal calculation (the amount of insulin the pump delivers throughout the day). Also, since her blood sugars now hover at a lower level than they used to, she’s paying more attention so that they don’t go too low. My friend has discovered through this pump experience a new understanding and respect for what type 1s live with every day, pump or no pump. And I was made more aware through our conversation of just how truly unknowing others are of what we deal with everyday, even those with type 2 diabetes. So there we were, three type 1s throwing out ideas to help our type 2 friend with her pump until she sees her diabetes educator again. “Eat the same three meals, and only three, every day for a week to figure out your basal rate.” “Get a book on pumping by John Walsh or Gary Scheiner and devour it cover to cover.” “Make sure you’re using multiple basal programs for different hours of the day and night when you need varying amounts of insulin.” “Don’t just eat glucose tablets if you’re low, they don’t last that long. Make sure you eat some protein too.” “Well it’s a toss up whether to detach from the pump when you’re going low to stop the insulin drip or eat a snack. Of course that could lead to weight gain.” And finally, “Accept that even if you do the same thing every day your body will not act the same way every day.” The true mantra of type 1. I don’t write this to discourage you if you’re a type 2 thinking of a pump. My type 2 friend is definitely benefitting. Her blood sugars are lower overall, she is taking less insulin, this is allowing her to lose some weight and when not worrying about lows, which will rectify themselves once her program is worked out, she feels better and more motivated to do better seeing her numbers improve. Also, she has a real awareness now that her actions affect her results. “It’s a real eye-opener to see on paper that what I do affects everything,” she told us. “It’s made me more judicious about what I eat. I see so clearly now that I’ll have to add more insulin if I eat that. It’s made me see my management all quite differently.” That’s indeed good news. An insulin pump, I’ve been reading in preparation to go on one myself next year, typically reduces the amount of insulin one needs. Something about how it saturates your cells with insulin and mimics the normal functioning of a healthy pancreas. For Type 2’s the insulin requirement can drop by a third or nearly half. My friend used to give herself 4 units of Apidra (rapid-acting insulin to cover meals and make corrections) to come down 80 points, now it’s more often 1 unit. As my type 2 friend said, “This is a big learning curve let me tell you!” You’ll find no argument here. Depending upon the day, my mood, who I’m with, the conversation, whether or not my oatmeal burned that morning, my feelings about living with diabetes vary. Some days are almost a breeze, other days I’m exhaustedly fed up with all it takes and soooooo annoyed no one really gets it. With that, I wanted to spotlight these diabetes musings that reflect only two of the many sides of living with diabetes. One is a page from my book, “The ABCs of Loving Yourself With Diabetes,” which coaches you to more often engage your positive emotions – like kindness, forgiveness, strength, courage and appreciation – to manage your diabetes, and your life, with greater ease and happiness. 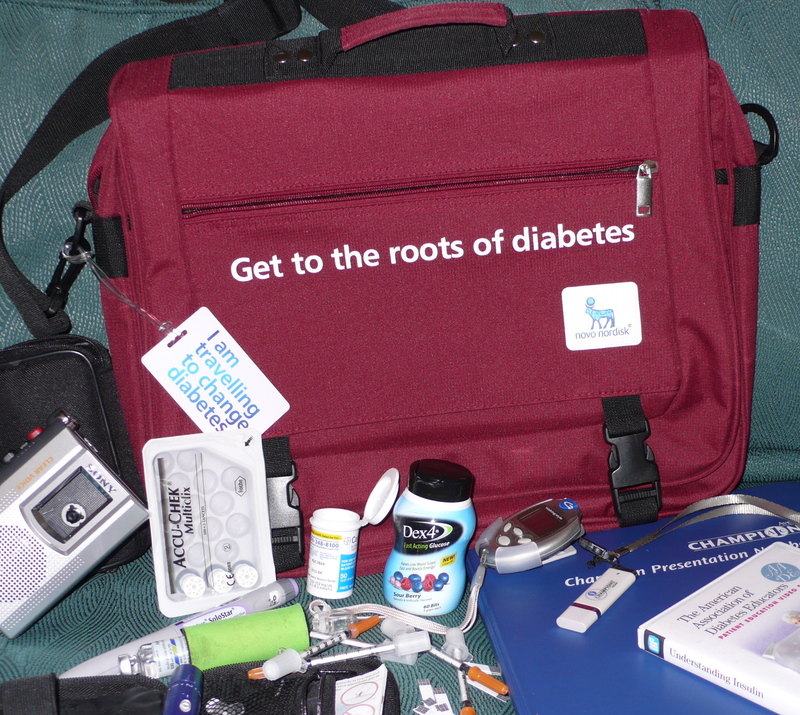 It’s featured in the current newsletter from TCOYD(Taking Control of Your Diabetes.) TCOYD, headed by Dr. Steven Edelman, who has type 1 diabetes and was named Educator of the Year this year by the American Diabetes Association, brings informative and inspirational one day health fairs and conferences across the country to people with diabetes. Then two weeks ago, Catherine Price, a blogger over at A Sweet Life, shared her story of living with diabetes in the New York Times, “Thinking About Diabetes With Every Bite” and it was as if she was telling my own tale: The constant rigor, calculations, analysis and invisibility of living with diabetes, particularly type 1 diabetes where you must inject insulin and test blood sugars several times a day, every day, to manage it. For me, both sitting in the positive and dealing with the sometimes grinding daily tasks co-exist – sometimes simultaneously, sometimes in parallel and sometimes at unsettling right angles depending upon the day. But always like a chronic condition they are there, the many sides of diabetes rising and falling, ebbing and flowing, expanding and contracting as we learn, move, grow, expand, collapse, relapse and press on again.